This is Sons of Anarchy's second appearance during the Blogging from A to Z April 2016 Challenge. I can't promise that is will be the last one. If you didn't know already it is one of my favorite shows. Sons of Anarchy season seven is called The Final Ride because it is the final season of the series. Episode 11, "Red Rose" centers around the settling of internal business. Sons of Anarchy, Season 7, "Red Rose"
I am only going to talk about the main plot of this episode because I want there to be something for you to discover should you choose to watch this episode (Hulu, Amazon Prime Video, Netflix). 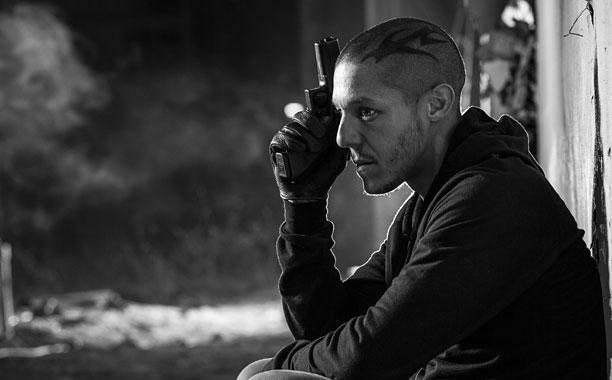 "Red Rose", in a nutshell, shows the end of three characters who've been there since the beginning: Juice Ortiz (Theo Rossi), Wayne Unser (Dayton Callie), and Gemma Teller Morrow (Katey Sagal). I'm not going in chronological order but in the order of the death of each character. Juice is in the prison infirmary when a guard comes in and orders everyone out but Juice. Members of the Chinese crime organization formerly run by Henry Lin (Kenneth Choi) come for payback. Juice and Gemma told The Sons (Samcro) a lie that caused a lot of bloodshed, including Lin's death. Lin's men beat and gang raped Juice in retaliation. They did not kill Juice. That task was left for another. Juice is released from the infirmary and is eating in the cafeteria with Ron Tully (Marilyn Manson) and his guys. While in prison Juice became Tully's -- err -- you can figure that out. Juice tells Tully he knows The Sons wanted Tully to kill him. Juice passes Tully a makeshift shank. Tully has his men start a fight as a distraction. Tully and Juice get up. Tully whispers in Juice's ear before he kills him, "You went out good sweetheart." Wayne Unser figured out the lie Juice and Gemma told. He was not part of it but he is devoted to Gemma. 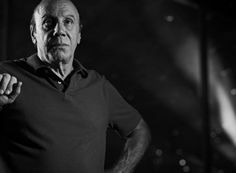 In fact, Unser has been in love with Gemma for decades. Unser went looking for Gemma after getting a lead to where she was. He knew why she was on the run and he was hoping he could spare her. Unser finds Gemma and soon after so does her son, Jax Teller (Charlie Hunnam). Unser knows Jax came to kill Gemma for the all of the trouble and deaths she caused. Unser can't sit by and let Jax kill her. So he pulls a gun on Jax. Unser tries to get Jax to change his mind and Jax tells him to go home. While looking at Gemma, Unser explains, "I can't do that. This is all I got left." He then looks at Jax and Jax shoots him in the chest. While on the run, Gemma decides to see her father one last time to say goodbye. His Alzheimer’s prevents him from recognizing her. She goes back to her family home to pack up some things. Unser shows up, with Jax arriving soon after. Jax kills Unser. Gemma and Jax have a talk about the club, Jax's father, Tara (Jax's dead wife), and other things. She gets up and tells Jax she'd like to go out into the garden. Mother and son walk into the garden with the son, Jax, taking the rear. Gemma touches the roses. Jax is behind her crying and raises his gun. Gemma speaks to Jax one final time. "I love you, Jackson. From the deepest, purest part of my heart. You have to do this. It's who we are, sweetheart." Jax sniffles and raises his gun again. Gemma tells him, "It's okay. My baby boy. It's time. I'm ready." Gemma lowers her head and Jax shoots her in it. She falls instantly to the ground. Dead. The Closing of "Red Rose"
"Red Rose" ends with a few of the other details seen in the episode being tidied up. We see Wendy (Drea de Matteo) checking in on Jax's sons while they sleep. Nero (Jimmy Smits), Gemma's boyfriend, is crying because he knows she is never coming back. Jax returns home, taking off the sneakers that are covered in his mother's blood. He seeks solace in Wendy's arms and in her bed. The camera pans to where Unser and Gemma lie dead. During this whole end scene Ed Sheeran's "Make It Rain" plays.